IHRSA 2016 in Orlando this March has many great seminars and speakers but among them all is a really special one. Jay Baer, the renowned business strategist, keynote speaker and the New York Times best-selling author of four books will be discussing his book Youtility: Smart Marketing is About Help, not Hype on Monday, March 21, 2016 from 10:45am-12:15pm . I strongly suggest your attend. What Is Youtility and Why Is Smart Marketing About Help Not Hype ? Two key trends are making general top of mind marketing and advertising ineffective. First media continues to be highly fragmented and includes vast amounts of noise. The competition for your attention has never been higher so its harder to get your message across. Second companies are increasingly distrusted by consumers. They simply do not believe what brands are telling them and so are skeptical about any messages that do get through the noise. While top of mind awareness is certainly fading, in-bound marketing has risen as an effective alternative but its only half the story. When someone is ready to buy they can find you, but this effort only serves demand that already exists. It does not create new customers. Mr. Baer’s thesis is that a new approach he terms “Friend Of Mine” marketing, is a better way to market because in today’s world we are competing for attention against everything including the friends and family of your potential customers. As Jay puts it “Make your marketing so useful people would pay for it.” Because of this dynamic there are two approaches brands can take. The first is to be simply “Amazing” which is more generic and certainly important but the second approach is better: to be truly and utterly useful. How can brands do this ? Provide lots of self service information. Buyers do not want to be hassled by sales people any more. They want to research and learn as much as possible using online tools. Create information that can help people evaluate their decisions. Deliver real-time relevancy. No brand can be useful all of the time. Utility is circumstantial. Jay shares the example of Columbia Sportswear’s mobile app featuring “What Knot To Do In The Great Outdoors” which shows its users how to tie various knots. This is incredibly useful if you need to tie a knot, which many people in the outdoors need to do. When customers rely on this useful tool they will likely return to Columbia when they are ready to buy something related. There are many examples in health clubs where these three facets can be created; from providing a wonderful online presence that enables potential members to virtually tour clubs 24 hours a day to displaying pricing alternatives for services and memberships. Identify Customer Needs. By understanding via research and study, what needs are most important to customers, you can design the best most valuable solutions people are looking for. Map Needs to Youtility. By using apps, blogs, forums and other modalities of content the Youtility can be optimally delivered in various forms that people find more useful. Picking the right form for the best for of Youtility is critical. Market your marketing. Content and information is fire and social media is gasoline. You must promote your Youtility first and your company second. Simply creating Youtility is not enough. You have to promote it. Youtility is a Skill Not A Job. Creating Youtility is the job of everyone in the business. The more knowledge that can be created and shared to create value the better. Youtility is a Process Not A Project. It never ends and evolves because technology and needs evolve. Once you start down the path of Youtility it never stops. Keep Score. There are four methods of tracking the effectiveness of Youtility and these include comments, shares, lead generation and finally sales. The metrics of Youtility are important to measure to understand just how relevant the effort is in supporting your growth plans. Marketing and consumers are changing. Using the tools and approaches Jay outlines in his book Youtility: Why Smart Marketing is About Help not Hype is the modern day effective approach to building your fitness business. Hopefully if you are in Orlando for IHRSA 2016 you will have the time to hear Jay’s views in person. Jay has also just recently launched another great book Jay’s new book is Hug Your Haters: How to Embrace Complaints and Keep Your Customers. 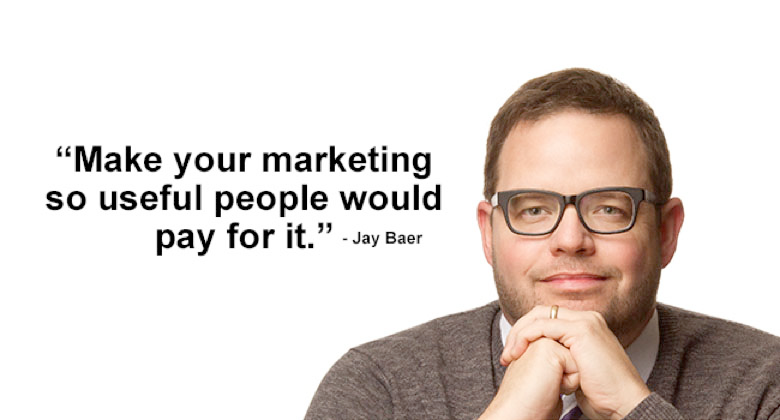 To learn more about Jay Baer please visit his web site here: http://www.jaybaer.com/books-by-jay/ and give his concepts a try. You’ll be happy you did. If you’d like to figure out how you can use Jay’s concepts let me know, we’d be happy to help. Bryan O’Rourke serves as President of the Fitness Industry Technology Council, is CEO of Integerus Advisors and serves as CSO of Fitmarc. 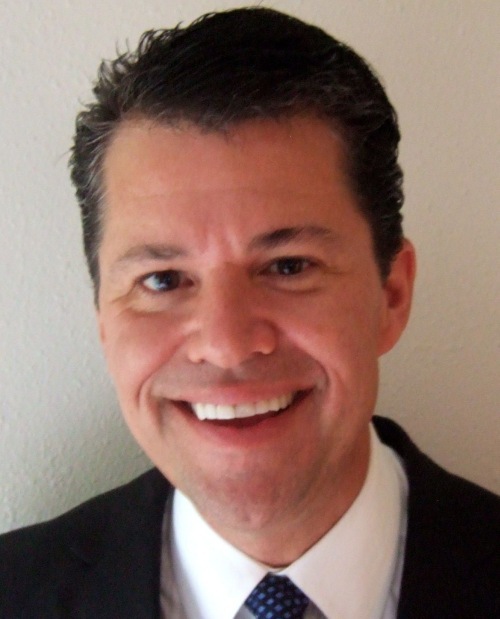 He’s an entrepreneur, consultant and business executive with a 30 year track record of success. He and his partners actively serve health club and fitness business around the world. As a former club owner, Bryan has worked in the health club and fitness industry for 18 years and was named one of 13 to watch in 2013 by IHRSA. He has presented at conferences on four continents and is widely published and quoted in periodicals like Inc. Magazine, the Wall Street Journal and the New York Times. He is being published this spring in an upcoming book by EuropeActive titled Growing the Fitness Sector Through Innovation . To learn more visit bryankorourke.com .